I use the Skyscanner and Hopper Apps on my phone to track flights. My favorite web-based sites to track prices are Google Flights and Hipmunk. You can get notifications or emails when the prices of flights drop so you know the best time to book. We used Hipmunk to book our flight to Scotland for our honeymoon. If you're not already subscribed, Scott's Cheap Flights eNewsletter is a great resource if you are a bit more flexible with your travel date and destination. I may have mentioned before that our family has a Bluegreen timeshare and we travel frequently to locations where we are able to book our stay on points. We also stay with family or friends when we can to be able to afford a more distant vacation. If we are traveling somewhere closer to home, I typically book our hotel room using Kayak. You can also check for deals on hotels using Groupon! I booked our last stay in Atlanta on Groupon and it was less than $70 for a hotel right across from the concert venue. I realize I just recommended a ton of different resources, but shopping around can really save you a ton of money. Where you travel is going to be greatly influenced by your work time constraints and budget so It's worth it to put in the time and effort on this part but let your apps work for you! I thought I'd break down a few of my favorite travel planning apps. I use these in the months and weeks leading up to our trip to get a good feel for what our destination has to offer! I usually start with Pinterest when I am planning our vacations. It's an easy way to find itineraries from other travel bloggers or must-sees for first-timers in just one click. 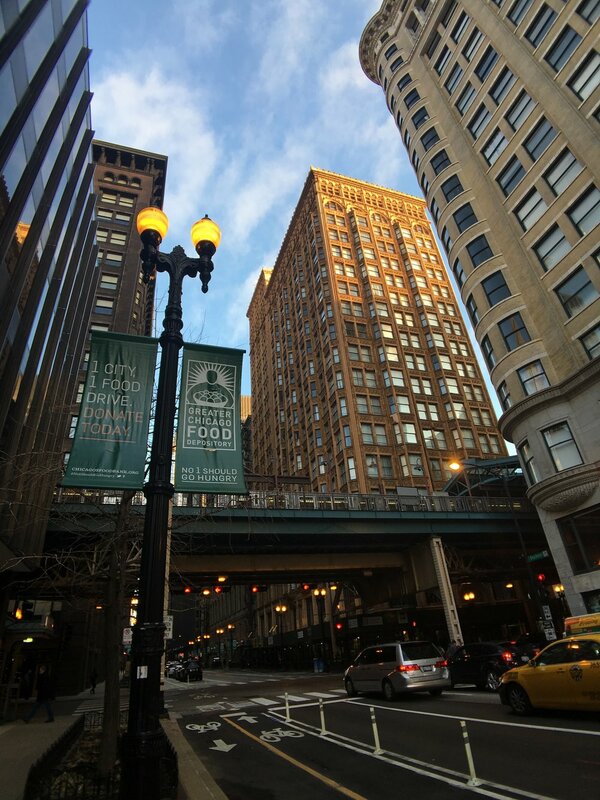 Once I have an idea of what the highlights in the city are, I turn to other resources to narrow down our interests and find neighboring spots to visit. If you follow me on Pinterest then you know that I am constantly pinning travel inspiration! Instagram is by far my favorite travel tool right now. Because it's such a visual platform, it's easy to see exactly what a place looks like on the inside, what type of food a restaurant serves, and even serves as a source of inspiration for the best vantage point for your travel photos. Much like Pinterest boards, I've been utilizing Instagram's Collections to save spots of interest by city. I've got a running list of places I want to see on our next hop across the pond. I use Yelp to look up restaurant menus, verify opening hours, and find reviews for places I've found to eat while browsing Instagram. 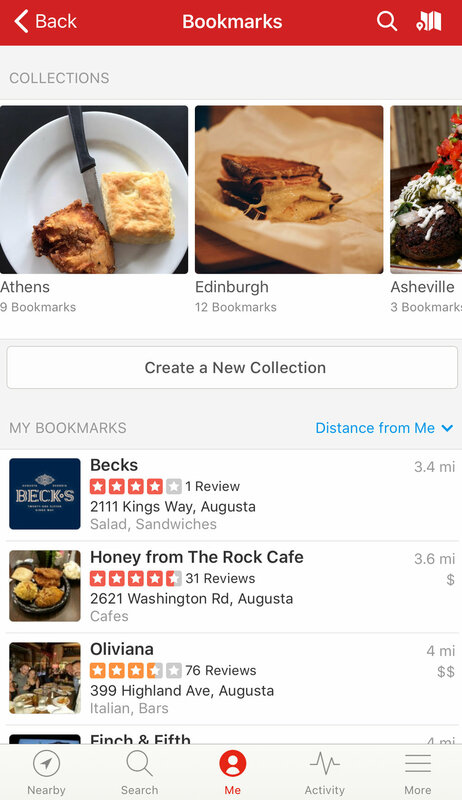 Try searching for #yelp + city name (ex: #yelpaugusta) to see what others are eating and reviewing in the place you're planning to travel. Yelp is also a great place to check out all the restaurants listed on Pinterest's many foodie guides. I create a custom Google Map for each trip and save the places of interest I've found through my research onto a map so that it's easy to travel to each individual stop once we've arrived. I tend to be fairly flexible with our vacation plans but if for example, a museum is at the top of my must-see list and I feel certain we will visit during our trip, I'll save the locations of things to do, see, and eat nearby so that it's easy to have a few options once we get there! I create multiple layers within my Google Maps so that it's easy to filter destinations or see everything at once within a particular radius. I've been dividing my maps into three layers recently: Restaurants, Shopping, and Sightseeing. Be sure to download and utilize offline maps before you leave home! It saves your data usage and makes it easier to navigate once you've arrived. Be a tourist! There seems to be a trend in travel right now to avoid all the tourist traps but I would actually recommend making sure that you see all the highlights! There are several places we've traveled that I am not sure we will be able to visit again anytime soon so it's always important to me that we get to see all the landmarks. Be flexible! Overplanning and sticking to a strict schedule is not fun when you're traveling with someone else. Make a list of your must-sees and make an effort to see them all, but don't schedule everything down to the hour. Explore Deeper! It's also important to make time to get off the beaten trail a little bit! Ask locals where they'd recommend that isn't as obvious. We tend to avoid chain restaurants while we travel which is our little way of getting to experience the local food scene and culture! We also gravitate towards cheaper restaurants or share plates at nicer ones. So that's it! That's how I plan our vacations in a nutshell. How do you plan your trips? Where are you headed next? Let me know in the comments!